Check out the sessions designed to help transform your Digital Workplace and view Debbie’s latest organiser update video. Are New Zealand’s Businesses Ready for Digital Transformation? Sarah Bowden from Microsoft will share insights from the research commissioned by Microsoft and completed by Asia Insight to understand how ready NZ businesses are to adopt Digital Transformation. Does your organisation have a digital transformation strategy? Christian Buckley will talk about the personal and cultural impacts of the Digital Workplace, outline the roles needed for successful transformation, and share insights into how each of us can be better prepared for the changes ahead. What will be your personal role as your organisation transforms? 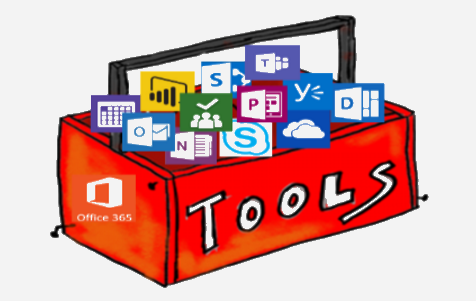 Last week we shared the abundance of Office 365 products and all the related tools (including SharePoint). If you are a manager attending to explore the capability or sending your team along for updates, take a look at the sessions that cover this wide topic range here. What Exactly is this Digital Strategy and Why Do We Need One? Is Knowledge Sharing Really That Important? Copyright © 2017 ShareThePoint Limited, All rights reserved. You are receiving this email because you have been associated with a SharePoint Conference, attended a Training Event, indicated an interest in Education or subscribed to our newsletter.